Services have played a key role in innovating and revolutionising most software intensive realms from automotive to urban planning to aerospace and so on. 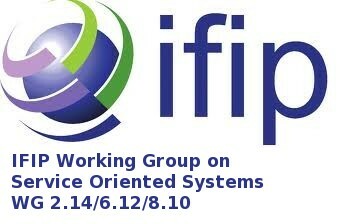 In a recent gathering of the IFIP WG on service oriented computing (http://ifip-wg-sos.deib.polimi.it) we evaluate that the sector is currently undergoing a deep change, that, if not correctly steered and encourage may leave service oriented research in disarray. In an effort to reason on this change and to promote a new wave of service oriented research we propose a gathering of top service engineering and research minds that may join forces together in the effort of eliciting forward looking challenges and research roadmaps towards this radical change. Goals of this workshop are twofold: on the one hand, we aim to bring researchers and practitioners to share ideas in unconventional and innovative ways that harness service orientation for moving beyond current topics such as process automation and adaptation or cloud computing; one the other hand, we aim to distill the notion of services and service oriented computing towards its original intended tenets and challenges. Being an unconventional think-tank, the list of relevant topics will be one of the results of the workshop, as it will define the possible roadmap for the future research around the service concept. Conversely, we encourage submission of extended (max 2 pages) abstracts instead of regular papers outlining unconventional, daring, provocative, and insightful ideas and positions going beyond our current understanding of the service metaphor. Authors are invited to submit their extended abstract via e-mail to both the workshop chairs (pierluigi.plebani@polimi.it, damianandrew.tamburri@polimi.it) indicating “ReSerCH submission” as subject. Presenters of accepted abstracts will be invited to present their ideas in working sessions where IFIP WG SOS will explore collaboratively such ideas to evaluate their role for future service research. The four best abstracts are likely to receive feedback or foster discussion. These abstracts will be given an extra 21 days after the event for their further processing and peer-review into full accepted papers (8 pages max) for the Workshops Proceedings published by Springer CCS.